It’s most definitely upon us. The time of year when many of you are faced with challenges certain backyard visitors present. They can really test ones patience. 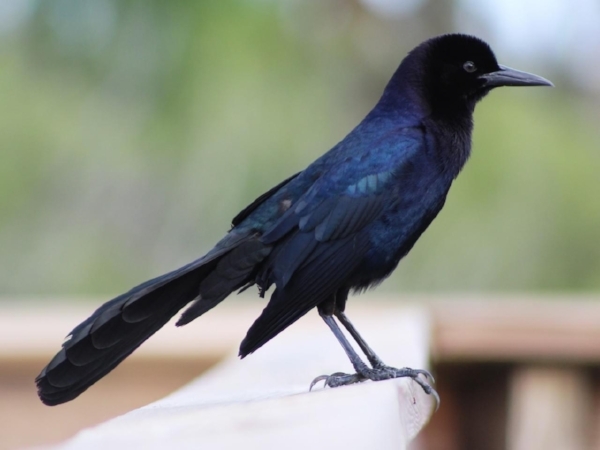 I’m talking about Grackles and Starlings, Raccoons, Chipmunks, and Mountain Lions. Well, maybe not Mountain Lions. Your bird feeders are of great interest to all afore mentioned birds and animals largely due to this being the breeding season. I did not mention squirrels because we deal with them every day. The others are more of a seasonal issue. One thing worth mentioning about squirrels is they are more likely to eat safflower during this time. We’ve already heard from a few of you that squirrels have decided to start eating safflower when previously they did not. Usually it’s the young squirrels that eat safflower. This too shall pass. Offer nothing but Safflower seed rather than sunflower or blends with shelled seeds, shelled peanuts, and fruit. Safflower is smaller than sunflower and has a different shape, and a hard shell that Grackles and Starlings cannot crack open. We also suggest shutting down the feeders for a while, perhaps a week or two. This can cause these sudden intruders to move along and be someone else’s problem. Usually the Grackle/Starling pressure recedes by mid to late June when breeding is over. The other birds you want will typically return to the feeders in no time. Limit opportunities and any opportunities available should be difficult for a large bird like a grackle to use. For instance, small bird only or caged type feeders. Yes, this will also limit Cardinals but they would be happy to feed on whatever falls to the ground. If you have a tube type feeder with straight perches consider cutting them in half. They are usually made of aluminum and easy to cut. Half a perch will present great difficulties for a Grackle and Starling but your small birds will use them easily. Suet is a favorite food source during this time because it’s soft and easy to take large chunks. Again, removing the food source for a week may cause the problems to move on. Another thing to try is take note of the timing of their visits. You can offer smaller amounts of food, like a third of a suet cake at a time, so your desired visitors have a consistent food source for part of the day. When the problem visitors show up there is little food remaining. Squirrel proof suet feeders are very effective at keeping squirrels out but not always the Grackles. Only the largest Squirrel proof suet feeders provide enough distance between the food source and the outer cage to stop Grackles and Starlings. Bring in feeders at night that are accessible to raccoons. It may take a few weeks to condition the raccoon to not to show up. After a few weeks try leaving a feeder out one night to see if they have gotten the idea that no food would be available. Continue taking the feeder in if you see evidence they’ve been there. The “limited amount” strategy works well here, too. If it’s suet they are getting only put a third or half a cake in the feeder. By nightfall when the raccoon shows up there would be little if anything left. Raccoon baffles for pole systems, which are much larger than squirrel baffles, are very effective. Follow directions and you will have success. A squirrel baffle will not likely stop a motivated raccoon. This is not my favorite strategy but some people will make food available in places away from feeders. They might offer table scraps, corn, or cat food to satisfy the raccoons. I see evidence of raccoons getting in my compost pile where I put everything from coffee grounds to old fruit and vegetable scraps. In my opinion this strategy just encourages their desire to visit. 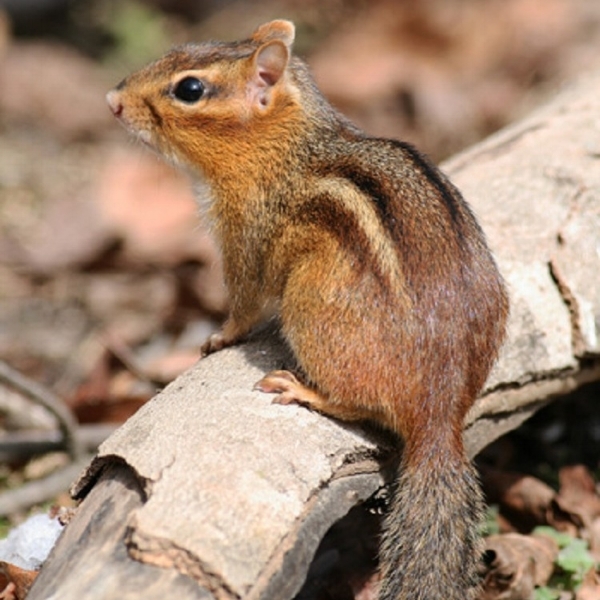 Chipmunks are challenging in that they can squeeze through caged squirrel proof feeders and they are usually not heavy enough to activate a weight activated feeder. And they like safflower. However, any squirrel baffle will stop them cold. Be patient. We need to try and be tolerant of wildlife even when they are pesky.